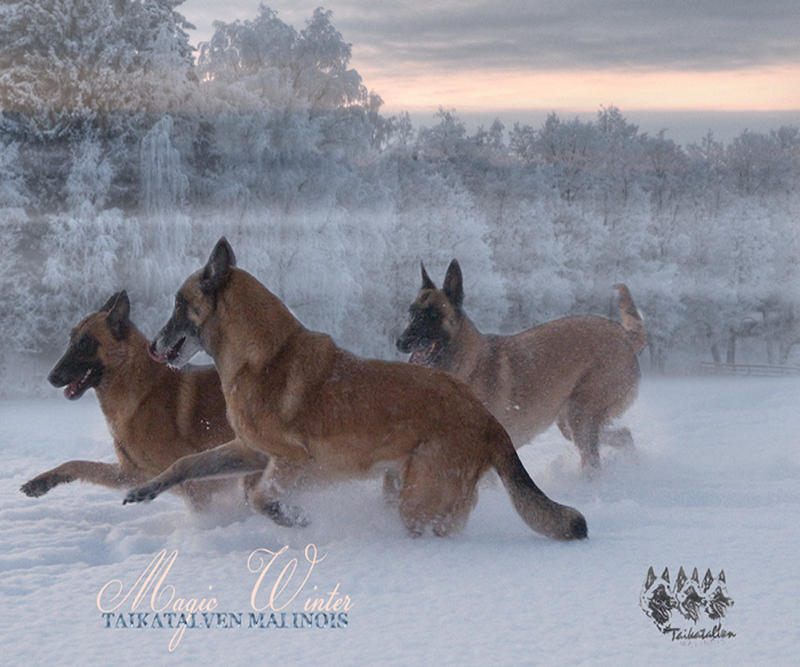 Welcome to the www-pages of Finnish Malinois Kennel Taikatalven! Here is collected information about my very limited breedings and some photos from Malinoises to enjoy for everyone. The photos are copyrighted and are not to be copied or will not be lent to virtual kennels. I hope that everyone will respect that. Story of my canine hobby began early... after fish tanks, hamster and some side tracks... I got my first dog when I was 10 years old – a black Cocker Spaniel female "Peppi". That started the rocks to roll... Peppi died relatively young to parvo virus and in 1984 I begged... Well I did everything that was in my power to get my first working and show dog – Rottweiler female "Ansku" FIN Ch Muskett ARIANNE. She was a superb old school Rottweiler – confident, beautiful and calm. Ansku guided me to the world of working competitions and shows. 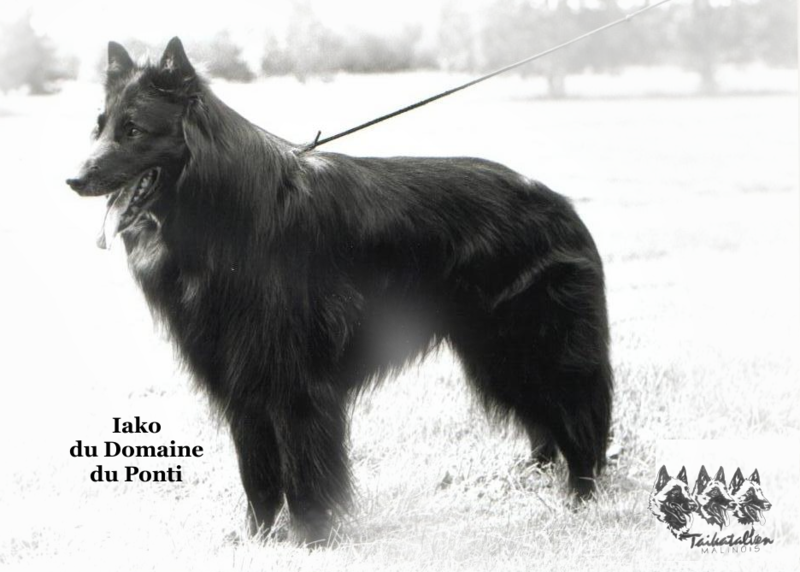 The first Belgian that I ever met was groenendael male Int, N, FIN Ch IAKO du Domaine Ponti owned by Merja Kurttila and Riitta Tjörneryd. I have to confess. I really could not understand at the time what is the joy in a dog who moves constantly and does not seem to have any brains in his head..., but the years changed my opinions and I was really proud to handle IAKO in his last show in the Finnish National 1995 in the Veterans class – even that he made a complete fool of me. By that time we did have already two Belgians in the Family: groenendael female JK3, VK3 Elosalaman YAFFA "Jaffa" and RE Multi Ch Løkkegården´s INFERNO "Ida" and there was no way to turn back. The expression, ability and love for work, temperament and beauty of the Belgian Sheepdogs had enthralled me already. Kennel Taikatalven was established in 1996 and co-owned to 2006 with Kirsi Kauppila. The dogs live in my home primary as a family members and pets. I have a home kennel so the dogs live inside and puppies are born inside the house. As a breeder I believe in unique litters so they possibly can bring something new to the variety. Building up potential breedings is partially logic, statistics and intuition for me. Personally I need to believe in every litter and I have no intention to breed just to increase the malinois population in Finland. So every litter needs to be interesting enough that I would like to keep a puppy from it myself. Currently I have three dogs at home: Goldie, Kaneli and Pinja. Goldie is retired from breeding and Pinja is growing up. Other breeding dogs have their own families and are co-owned or invested for a possible future use. My other belowed hobby is photography and I am very happy that I can combine both of my hobbies in almost daily basis. Ladies running and playing in Lake Rusutjärvi in the magical winter 2009.